With operations at the brewery shut down today, I find myself reflecting on our journey thus far, and can’t help but feel thankful. For me, this journey didn’t begin last June when we opened our doors, nor did it begin when we started building the facility in December 2013, nor when I came up with the idea for Able Ebenezer in early 2013, nor when I started homebrewing years ago. For me, it began in 2008 out in the desert of West Texas, when a fellow brother-in-arms and dear friend gave me a book. Reading Atlas Shrugged granted me a new perspective on life; a perspective that was magnified by my time in the military. Some out there would call this book controversial or offensive; some may even judge me for placing it in such high regard. Spoiler alert: I don’t care, nor do I think about you at all. Written words are a special thing; they preserve thoughts and ideas for the generations to come, ensuring they don’t become lost. I have found I learn something from every book I open; whether or not I agree with the author’s idea is irrelevant. Within Ayn Rand’s story, I found individual strength, purpose and passion; it made me a better soldier and more capable leader. Above all, I discovered meaning for my life: I wanted to build something; something which would make the world a better, happier place. Now, several years later, as I sit here amidst the rare silence and calm within the brewery, I must express how astonished I am to look at what we’ve built thus far. 17 months in, we’ve already maxed out our production capacity (don’t sweat; more tanks are on the way), and have our products pouring at well over 50 local restaurants - and counting. It has taken a great deal of hard work and sacrifice, as it does to build anything of meaning (just one of the lessons I learned from Atlas). Yet, this - the success of the company - isn’t what I’m thankful for. I’m thankful for those who chose to join this journey. They are the ones who didn’t see a naive man foolishly dropping a solid career in pursuit of a silly dream. They are the ones who saw someone with a vision - someone who believed in something. I am thankful for Mike, who has been a battle-buddy, partner, mentor, teacher, confidant and friend. There was no “good” reason for him drop everything and move to New Hampshire to build this with me, yet he did without hesitation (I did have a slight advantage; he found the same as I in reading Atlas). I owe him more than I can describe in words. I am thankful for Jake and Heather, who joined us at an uncertain time in the company, and committed themselves to build this into something meaningful. They understood our vision, and believed it could be done with the right amount of work. Without them, there would be no Able Ebenezer. I am thankful for my father, who has been a mentor and supporter from the beginning. He has always been there for me - through good times and bad - and has believed in my “crazy” ideas. His belief in me is why I've pursued the "craziest" ones. I am thankful for the restaurants who have given us a chance within their draft lineups. Since we only keg our products, we have to compete for these hotly contested lines. While we have still been told “no” more than “yes,” we owe a great deal of appreciation to those who have given us a shot; the opportunity to prove what we could do. We work tirelessly to ensure we don't let them down. I am thankful for our customers, many of whom have become friends. While it’s obvious for a business owner to say he’s thankful for his customers, since they ultimately pay the bills, I mean it differently: They too see our vision, share our beliefs and have voluntarily joined our cause. It is they who, out of all the products they could spend their hard-earned dollars on, choose to spend them with us. They have become insurgent salespeople, spreading the word about our work. They mitigate moments of doubt, and make challenges easier to overcome. Above all, they remind us everyday why we built this place: to make people happy. We love you guys. Finally, I am thankful for the book I was given back in 2008. If you haven’t given it a read, maybe it's time. Have a very Happy Thanksgiving, my friends. Cheers. July 5, 2008, Fort Knox KY.
July 4, 2008: I am stationed at Fort Knox, KY, training with the Armor Officer Leadership Course. 5+ months of day-in, day-out training; most of which out in the mud-caked slopes of northern Kentucky. The guys I am enduring this with will attest to the fact that it’s a grueling course, but they will also tell you that it was one of the best experiences of our lives. I haven’t seen many of them since we graduated, we formed bonds that will last a lifetime, and still keep in touch. While the course was months in length, you could count the total number of days we had “off” on two hands. One such day was Independence Day, and I remember it well; it was my first as a Lieutenant - a leader within our nation’s military. The day was filled with a number of celebratory activities scheduled at Knox, up in Louisville, and around the local area. That night, there was to be a party at the airfield including a large fireworks display, loads of food, and live music headlined by ZZ Top. Instead, we spent the day gathered at a common on post, grilled cheap burgers & hot dogs, shared jokes at one another’s expense (usually LT Hoover’s), and drank good beer. Why skip all the festivities that evening? 4am the next morning was our hard time to get back out to the field for tank gunnery. Instead, I packed my ruck and fell asleep to the booming sounds of fireworks off in the distance. Independence Day has a special meaning for me. Prior to the Declaration, the colonies each had their own individual struggle with British rule. But on July 4, 1776, we, as a nation, came together as one voice against tyranny and oppression. Merchants, farmers, sailors, blacksmiths, cobblers, artisans, statesmen and barkeeps decided as one: enough is enough. Once word of the Declaration reached General Washington on July 9, 1776, he was not in a celebratory mindset. His army, having successfully ousted the British from Boston a few months prior, was now occupying New York City in hopes of defending it against an imminent British invasion. He personally reads Jefferson’s words to his men in the streets of the city, while British naval ships gather in the bay by the hundreds. The short, simple declaration motivates the men, and they immediately go back to work preparing defenses in and around the city. Washington and his army would eventually lose New York, as well as many major battles to follow. Even when the war was at its most bleak - when British leadership began celebrating defeat of the rebellion, and signers of the Declaration were scattering across the colony for fear of capture and execution - the volunteers and militiamen of the Continental Army continued on. No longer were they simply rioting against unjust laws; they were defending their country. As such, this is a day to remember what it took to win liberty, and what it takes to preserve it. Today, we will celebrate the bold risks and sacrifices of those who, in 1776, were willing to put their lives on the line to live free. I welcome you to join us, as hundreds of our friends and fellow patriots will gather at the brewery to raise a glass in honor of them. As an American, you are independent; free to live life your way. Freedom is indeed a beautiful thing, but it takes work at all levels - soldiers and civilians - to preserve it. So, to me, Independence Day is not a day of gluttony, drunkenness and explosions. It’s the day to celebrate the freedom we work so hard to keep. At dawn on July 5, 2008, I climbed into the turret of my Abrams with my fellow Lieutenants - men willing to voluntarily give themselves to the cause of “defending the Constitution against all enemies, foreign and domestic” - and we went back to work. Miss you guys; Scouts Out. I am often asked by customers if I have heard of new breweries who just opened. While I wish I could visit every new brewery that comes online, it wouldn't leave much time for my job at this one. The question of whether or not I have heard of them is usually followed by: "Do you think they are going to do better? You guys afraid of competition?" And so on. Since the Nano Brew law passed in 2011, some incredible breweries have popped up around New Hampshire—including us. With so many new places opening, some may think it would cause rivalry, emulation, competition, or even jealousy. Yet, that couldn't be further from the truth. There is no competition in works of passion. You either have it or you don't; the passion makes the product unique. Anyone willing to open a business and showcase a product that demands a great deal of time, effort, thought and passion has my admiration, and my business. Our goal here at Able is create the best beer we can; beers that we love. It is simply a privilege to share that work with you. We brewers are driven by a dedication to create a products we are proud of and enjoy; not a product that is slightly better than the guy next door. After all, what is “better” changes from person to person. I believe there is a simple unspoken respect with all brewers: if you put all of yourself into a product (not literally), then you have done your job. I look forward to finishing my first beer design and getting it on tap so I too can share my work with fellow NH brewers. While there may be some friendly rivalries, this is not a cut throat business. We love and respect one another’s work, and raise a glass to anyone willing to take the leap. For this very reason, I am happy to be a part of this company and industry. It’s just fun. With that, I’ll cheers my next pint to creating something that is designed shared and enjoyed, not gloated over. After all, beer always tastes much better with friends than with enemies. 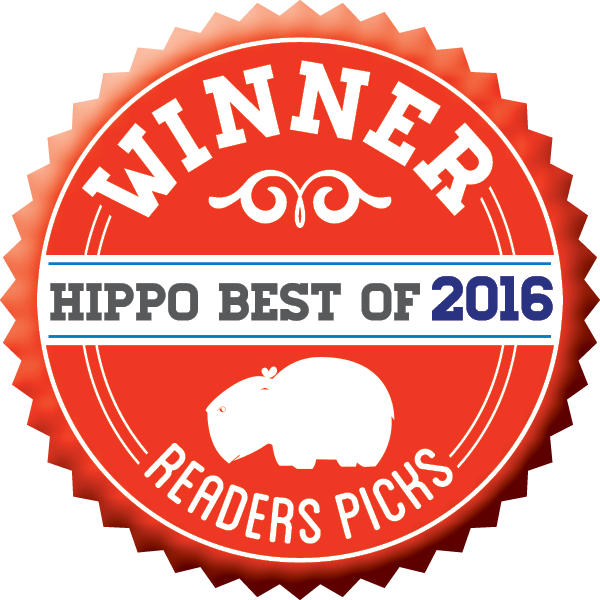 Many of you know we were recently voted the "Best Brewery in NH" in the Hippo. It goes without saying that this is an incredible honor, especially being a company only nine months old. We cannot thank you all enough, and are proud that you enjoy our beers as much as we do. Honestly, the best award we can achieve is one we are presented with everyday: Each time one of you spends your hard-earned money on our of our fresh pours. Once we heard the good news, I immediately thought back to my time in Iraq. The military teaches us that mission success may call for celebration, but always produces a new mission to focus on. Carl explained it well to me: "Victory sets conditions for future victories." During my tour overseas, we primarily focused on convoy escorts on the roads in and around Baghdad. We knew that the days we returned inside the wire safe and successful, the next day would bring new challenges, requiring us to always remain vigilant and focused on what the next day's mission might bring. Even on the eve of our unit's return to the states, our mission was to thoroughly prepare our replacements so that they too could be successful. While it is always wonderful to win awards for your merit and hard work, that isn't why we continually work hard and focus on the road ahead. We brew with the hope of showing you our version of beer. Not for medals, accolades or favorable beer ratings. Awards show you that, yes, you accomplished something. But they also force you to question: could it be done better? This is a question we constantly ask ourselves, always striving to be better than we were the day before. 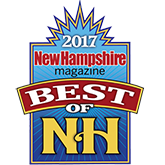 We are not the brewery that opened on June 14th, nor are we the brewery that won Best in NH. We are the brewery that is always focused on jumping off cliffs, forcing ourselves to develop our wings. We enjoy glancing occasionally in the rear-view, but remain focused on what's out the front windshield. With today's release of Emma Wood, and others down the road such as my coffee porter, we look forward to the future. To hopefully winning more awards, yet reminding ourselves: Alright, now lets go do better. I look forward to seeing you in the future and figuring out what we can do better tomorrow because of today. Here at Able Ebenezer, we not only design, produce and pour our ales, we also drive our own sales and distribution to our many partnered establishments across the Merrimack River Valley. In the past few weeks, we surpassed 30 restaurants, bars, country clubs, etc in which our brands are on tap, and currently have a many more slated on-deck. Today, self-distributing breweries are rare in the industry. 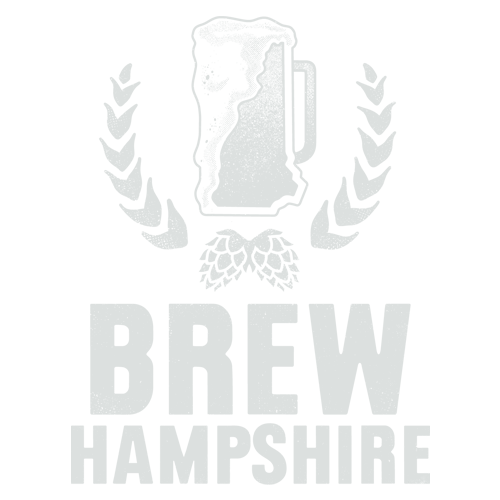 Many states still outlaw the practice, requiring brewers to sell to third-party distributors (thank you, NH). Beyond that, running your own distribution is nearly an entire business entity itself, adding complex logistics, inventory control, invoicing, vehicle and personnel requirements. It is a lot of work, especially with 30+ establishments to serve. Yet, hard work has its rewards. We are able to directly establish and build relationships with the owners, managers and staffs at each of our restaurants. Often, we dine with them, or they drink with us. We host the many staffs here at the brewery; privately opening the facility to educate them on our processes, products and story. We collaborate on projects and events, and find ways to mutually grow our businesses together. This model also allows us to be flexible, adjusting to the needs of our customer. We strive to execute deliveries on-demand, and within 24-hours at the latest. I myself have delivered a keg of Burn the Ships to Murphy’s at 11pm on a Saturday night; the pre-concert crowd kicked the previous keg, and they wanted it back on tap for the post-concert crowd. We recognize and respect that empty draft lines equates to lost revenue for the restaurateur (who, after all, is our customer). Yes, as a brewery, we sell beer. But as a distributor, we sell convenience. Furthermore, cold room space is expensive. Therefore, we tell our restaurants to consider our cold room as an extension of theirs. Within that space, we maintain an inventory solely for the restaurants; many kegs being spoken for as they come off the kegging line. To measure this, we track the consumption trends at each of our establishments. While it isn’t an exact science, it allows us to predict what we anticipate brand consumption will be 14 days out, and plan our production rhythm accordingly. We will even take beer off tap in our Ale Room if the only kegs remaining are considered spoken for by one of our restaurants. I tell each restaurant that we will not allow growth to hinder their access to our product; and we maintain that as a company principle. New restaurants are not brought on unless our inventory can handle the business. At this time, we believe we can add a handful more, but the remainder will need to be waitlisted. With that, we are currently executing our 3rd increase in keg capacity, and are doubling our cold room space to continue bringing on local establishments. Finally, the beer benefits from self-distribution as well. Our ales are kegged at 32-degrees F, and stored here at the facility at 40-degrees F. When delivering, those kegs are taken out of our cold room and placed directly into the cold rooms at our restaurants, meaning our beer never endures temperature variance or unnecessary rough handling. The benefit: added freshness, consistency and quality to every one of your pours. So yes, it is a lot of work. But, I believe the work is paying off. If you’re out on the road and see one of our delivery vehicles, you’ll now know that we’re out bringing the Able experience to one of your favorite local restaurants. Give us a friendly wave, and we’ll return the favor. Cheers. Last weekend was incredible, to say the least. One dynasty secured their place in history, while another came under attack due to a commercial. That's right, I am going to talk about the Budweiser ad—buckle up. First things first. It's a good commercial—they got everyone in the beer world talking about it. As Oscar Wilde said, "The only thing worse than being talked about is not being talked about." "Proudly a macro beer. It's not brewed to be fussed over. It's brewed for a crisp, smooth finish. This is the only beer Beechwood aged since 1876. There's only one Budweiser. It's brewed for drinking. Not dissecting. The people who drink our beer are people who like drinking beer. To drink beer brewed the hard way. Let them sip their pumpkin peach ale. We'll be brewing us some golden suds. This is the famous Budweiser beer. This Bud's for you." It's a mission statement. It is describing Budweiser plain and simple. Nowhere in this ad does it call micro breweries stupid, overrated, or a threat. They are simply saying this: "We aren't small, we make a product everyone knows, can drink easily, and its been consistent in taste for well over a hundred years— just enjoy one. If you don't, that's fine too. We are Anheuser-Busch, and are proud of who we are." 1. Showing "hipsters" smelling a beer, or the people sharing a flight. Yes, not all of us can have big eyeglasses like I do, but obviously we don't all just sit there and smell beer with curled mustaches and sip from 5oz pours. The same way not all Employees or CEO's of Anheuser-Busch are suited up millionaires with red eyes who conspire and work so the little guy fails. It is just type casting, and honestly, if this is the first time you have seen it in a commercial, then you haven't seen very many commercials. Craft brewers have been taking shots at AB and other macro-breweries for years. Why have they ignored them? Because people continue to buy their products. This ad wasn't an attack, it was a statement that they are proud to be separate from craft beer, just like we're proud to not produce simple light lagers. 2. The Pumpkin Peach Ale part, where—wait a minute! They own a company that makes that, and they just bought it! The whole Pumpkin Peach Ale thing isn't in bad taste, really. Have you ever heard of one? If you have, great—most people haven't. I know I hadn't until then, and now I want to try one now. This line from the ad made me look it up, find out Anheuser-Busch recently bought Elysian, which makes this Pumpkin Peach Ale. Budweiser got most people to look up a company they just bought! If you had just bought a little known brewery that only distributes statewide to eleven states; and internationally to a few other countries. Wouldn't you want people to find out about this beer? Even if you have to play the bad guy, people know about it now. Coca Cola owns many brands as well, such as Barq's Rootbeer, Fanta, Mello Yello, Poweraid, and Sprite. Most Coca Cola ads are claiming that Coke is the best— they don't promote any other Coca Cola products. The main point I want to get across is that this was just a commercial. This job wouldn't be challenging and fun if it wasn't competitive. Budweiser may have taken a shot at craft beer, but that's fine—they didn't come over to slash our tires so we couldn't deliver beer. They provided their opinion of their company, and left it for the public to decide which product they want. In some ways, craft breweries have big titans like Anheuser-Busch to thank. They have made light beers the norm in bars, and people crave things that are different, helping us move away from light beers and towards sweet pumpkin peach Ales, robust coffee porters, and the balanced complexity of The Smoked IPA. But there are times when people just want an old standby like Bud—a beer that is familiar, easy to drink, the same anywhere you get it, and reasonably priced. When that time comes, that bud is for you. For the other times, when you want to elevate your drinking experience, grab yourself one of the the many profound craft beers. They, too, are for you. Before getting into this, let’s go back to a story of another original craft brewer: Anheuser-Busch. I know that sounds like an odd statement, but it’s not far off. St. Louis in the 1800’s was a magnet for German immigrants, many of whom brewed and sold traditional, dark, robust artisan ales and lagers appreciated back in Europe. These beers did not play well in the long, hot summers of Missouri. It was Adolphus Busch who traveled the world, exploring its various brewing styles and techniques, seeing an opportunity to disrupt the market with a light, Bohemian lager; a style he absolutely loved. A refreshing beer that was light in flavor, simple and easy to drink. Budweiser became an instant sensation in the midst of a market loaded with the heavier, richer beers American’s had become accustomed to. I share this story to illustrate that it’s normal for the market to shift, and for the pioneer to eventually evolve into the enemy of new trailblazers. Like Caesar of Rome or Napoleon of France, a hero who remains on top long enough will eventually become the villain. Now, I believe it’s true that individuals increasingly demand authenticity from the products they buy. It’s because we view the products we spend our money on as a reflection of us as individuals. We’re not vain or materialistic; we build bonding relationships with the brands we spend our dollars on. After all, money is the product of our own work and story; why wouldn’t we want it to go towards companies and products we believed in and shared a passion for? Koch’s issue isn’t that the Boston Beer Company isn’t making great beer, or that he is a corporate sell-out, as this story seems to allude to. People today simply aren’t relating to their story. It’s a damn good one too; inspirational to new brewers like Mike and I.
Jim comes from a family with over 140 years of brewing history. Although he completed advanced degrees in both law and business at Harvard, and achieved a promising role within the lucrative consulting industry, he dropped it all to pursue a work of passion. Citing his lack of interest in corporate life, he burned his ships and started the Boston Beer Company with one label: the Samuel Adams Lager - now known as the Boston Lager. It had to have been a tough sell. The term “craft beer” was not yet recognizable; there were simply domestic beers and import beers. Jim walked the streets of Boston - bar to bar, restaurant to restaurant - convincing owners to take a chance on his new product and creating a new market, one draft line at a time. Those small beginnings, 30+ years ago, have culminated in the creation of an entire industry, all on the back of hard work and superior determination. I joke with our team now about how I wish we began within a city; I could save a great deal on gas money being able to walk from establishment to establishment rather than drive all over the Southern NH. The point is when I read Jim’s story, I knew up front what it would take for us to be successful: hard work and superior determination. I then come to this realization: we are reliving our own small slice of a journey Jim began back in the 1980’s. We, just like most other small brewers, are attempting to redefine beer in our own, unique way. This is what makes the industry attractive and fun for consumers; it’s an adventure, one pint at a time. Jim introduced the concept of quality and freshness in beer, employing the largest sales force by volume to ensure establishments are pouring and serving the products properly, and buying back millions of dollars of beer each year when its age crests Jim’s standard for freshness. He raised the bar, and taught consumers to demand more from their beer. As such, our key focus every day is the consistency, quality and freshness of our products. It’s why we maintain a large cold-room to store each keg on-site, distribute our products ourselves, and teach the staff at bars and restaurants proper pouring and serving techniques. It’s also why we terminate a batch without hesitation if it isn’t as perfect as each batch before it. We must, or face the consequences of being left behind in the market. Furthermore, Jim is committed to the beers he loves. He tells Crouch, “I don’t want to make something if everyone else is doing it...I am probably outside the mainstream on that. We don’t release a beer unless I like it.” Even when the company first went public, Jim only agreed to it under the condition that he own the entirety of the decision-making shares, ensuring he maintained control over the journey his company would go down. This sentiment I respect greatly. Not a week goes by where a handful of people tell us what they believe we should do going forward, and I am sure every brewer has experienced the same. What they don’t understand is we embarked on this venture to create the beer we love, the goal being to find those who love them as much as we do; not create beers we think most people will like. I believe this is the quickest way to become vanilla, inauthentic and stale...a fad. This, to me, is what represents “selling out;” giving up what you’re passionate about to cater to the masses. If the product is great, the masses will come around. As such, I will never sit here and speak ill of those on top of the market, or complain that they are unfair and oppressive. They are competitive, but so are we. We respect the work they accomplished to get where they are, and work daily to prove that our ales can stand right alongside them. I believe with enough work, we could one day overtake them. I don't fear the stigma that can come from being successful; I am excited about the prospect of sharing our ales with fellow citizens across the country. So yes, it is true that inauthentic companies will find themselves lacking in this increasingly crowded, diverse market. But Boston Beer isn’t inauthentic; today’s largest market of beer drinkers - cited by Crouch as those aged 21-27 - simply weren’t around to witness the story Jim and his company lived. Instead, they are seeing his story replayed by hundreds of small breweries around the country, like us, and thus find it easier to build that bond with them. As many of you know, we are big believers in not forgetting where you came from; respecting the experiences, challenges and lessons that define who and what you are today. As such, I thank Jim for being a pioneer and creating a market that many didn’t believe could exist. While others may read “Wasted” and relish in yet another story of how the mighty has fallen, I find myself inspired and motivated once again to continue onward; to create our disruption within the market with the hope that, one day, we too can leave our own historic mark on craft beer. Now we can all get back to the reason beer exists in the first place; our sheer enjoyment. Tonight I will raise a glass to brewers everywhere - macro, micro, nano & home - who dedicate their mind, time and ability to it's creation, and invite you to do the same. Cheers. Before Able, I've held many jobs—some as an employee, some as a manager, and even a soldier. Through all of those positions, there was an established balance between who worked for whom, and if/when you could voice your opinion. Most companies—good or bad—have a hierarchy and a way of doing things that have been engraved into them. With our company, we have the opportunity to break that hierarchy and re-define the balance between employees and employers. At Able, we have the ability to create a business model around the values that we have all looked for in a job. The work environment here at Able is very unique—there are barely titles here, and everyone's opinion is valued. No matter how crazy an idea might be, it is still heard, vetted, and decided on by the individual deemed responsible for that area. We all have notebooks or scraps of paper where we scribble our thoughts and ideas. With this group, the list is never short. The opportunity to be creative here is equally important. For example, my desk, which I made out of a old pallet and some spare wood, is always accompanied by my guitar. While taking sales orders, writing blogs or thinking of new ideas for beer recipes, I can take a break to play and let the ideas come. When it comes to brainstorming and transforming thoughts into a tangible idea, anything is welcome here. Here is to thinking out of the box and giving light to ideas so they can grow. Cheers. Before getting the job here at Able, the only knowledge or experience I had with beer was drinking it. Terms like mash tun, lauter, and wort sounded like made up words, and I figured Mike was messing with me. I had no idea how to brew or what was in store for me the first time brewing. My first day at work was a brew day. I showed up with jeans, boots, and a hoodie not knowing how hot and labor intensive brewing could get. Carl and Mike show up with board shorts, sandals, and t-shirts. Needless to say I learned my first lesson. I have slowly gotten the hang of this thing called brewing, and even recently began working on a few recipes. Last week, we finally set up the original brewing system Carl and Mike built and used in their garage to design all of our beers to date. This week, I was able to brew my first 5-gallon batch; a coffee porter that I partnered with A&E Roastery of Amherst to design. I learned a lot, and am now awaiting the weeks-long process of waiting to see how the final beer comes out. I know that the first time around may not be exactly what I want, but I am very excited to start tweaking some of my ideas into actual realized beer. Maybe one day soon, I will be able to serve it to you. Just like a painting or sculpture, beer is both an art and a tool of self-expression. I look forward to sharing my version of it with you. Cheers. We've been open for over six months now, and our ales pour regularly at 28 local establishments with others waiting on deck. Being a small company of four, handling our own sales and distribution company definitely keeps us busy. While there are many ways of staying in contact with these establishments, they all have one thing in common: The human factor. We don't have automated emails, or a set day of the week for deliveries. We strive to deliver on-demand, considering our cold room at the brewery to be an extension of those at our restaurants. We believe this adds to the quality and integrity of the product, as well as value to our customer, whether they be a restaurant manager or guest at their bar. Yes, it is a lot of work, but we've built some strong relationships as a result. Everyone of them has become a a team member to the company; a part of our family. Not just because they give us business and sell our product, but because they care as much as we do. They will send us on our way with warm tomato soup after we deliver kegs to their cold room, or make us stay for a cup of coffee because we look tired. They help us host events, do their team-buildings at our brewery, and even open their kitchens to us to roast pumpkins. They go the extra mile for us because they know we will for them. As I have stated in other blogs, we have a great deal of passion here at Able Ebenezer, and so do the businesses that we work with. That is one of the main reasons for our hours at the Ale Room. We close at 8pm because we like to visit the places that have given us the privilege to serve our beer there, or as Carl likes to call it: "Showing our friends some love." So here is to the people who believe in us and our work as much as we do, and to those who have given us a chance to show what we can do. Cheers to relationships big and small working together to create a wonderful pint. Between rushing out to Black Friday sales, finally finishing off those Thanksgiving leftovers, and appreciating having our power back, the holiday season has begun. There's no doubt that this season brings a level of chaos to our lives, but with the holidays also come the comfort & pleasure of traditions. Here at Able, we are beginning to forge our own traditions. We love to challenge ourselves with new experiences. Heather and I took Mike and Carl to Noel's Tree Farm in Litchfield for their first real Christmas tree selection. After all, the Ale Room needed a tree. After the haggling that most families go through while finding the perfect tree, we decided on one. Later, sitting by the fire place, we discussed our own past traditions and what we feel that a tree should look like. Heather decided she should be in charge of the tree decorating—we completely agreed. If left to Carl, Mike or myself, who knows what kind of Charlie brown tree would be in our Ale Room. It looks perfect, so much so that many thought it was fake. With that, we would like to welcome you to create a new tradition with us. At some point, I'm sure we have all received a sweater that was created out of love, but a love that might a little out of touch with fashion. Of course we can't throw these away, so they sit hanging in our closet...until this time of year. With that, I would like to invite you to our first Ugly Sweater Open Mic this Monday beginning at 4pm. Come enjoy the sights of everyone's favorite knitted garment, the sounds of local musicians, and the taste of our fresh ales. We hope to see you proudly wearing the gift for which the saying "It's the thought that counts" was probably invented. Cheers. The first thing I hear when telling people about my job is how lucky I am. Who knew working at a brewery is everyone's dream job? I can now understand why—not just because I work at a brewery, but because I work at this brewery. When I met Carl at a local bar in Milford, I had no idea I was meeting my future employer. It began with a simple handshake, but by the time he handed me his business card I knew I wanted to work at Able. After sending in my resume and waiting forever (two days), I received a text to schedule an interview. After sweating bullets during the process, it was over quickly, and I was left to wait and see. Needless to say, I was offered the job and I couldn't be happier. The small team of people we have working here put everything into this place. The sacrifices and amount of love put into this company by the founders isn't measurable, and it is something that is easy to get behind. One thing that stands out to me is the first week of me "working" at the company. I wasn't on the payroll yet, nor was I an official employee. I was also without a working car. Carl took time out his busy day while starting a new business to help someone he had just met—he did this because he believed in me; that I was right for the company. Mike has taken me under his wing and shown me the ropes of brewing, which I am picking up slowly. Working on my first beer is an incredible opportunity. I know Mike is looking forward to being able to step back, watch me figure out all the things he had to go through, and laugh. I know I would. As you can imagine, it was interesting working in a place with all guys—all that changed when Heather came on board. Heather took no time in giving us crap, in a good way of course. From being able to deal with us and our horrible jokes, to getting the Ale room off its feet and into the amazing place that it is now, I couldn't imagine this place without everyone we have on the team. Since starting at Able, I have never felt like I am going into work—I'm going to a place filled with friends & family. There just happens to be a lot of beer as well. This brings me to you, our patrons. You have taken us into the community, and spread our story. All of our hard work would be for not if it wasn't for the outpouring of support from you guys. With our six month mark coming up in December, we are far ahead of where we anticipated being. I look forward to the future—to new beers, new friends, and new business. 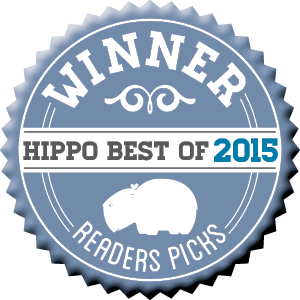 The momentum we have is strong, thanks to our hard work and your support of it. So, here is to you, and to the humble beginnings of a company started by hard working people who simply believed in something. Cheers to you, and everything that lies ahead. He taught that planning was critical to success, but even more so was the ability to adjust as needed to the ever-changing situation. He recognized that when in battle, there are an infinite number of variables that change every moment; planning contingencies for each was a futile exercise. Instead, military leaders are taught to build versatility into their plans and teams; ensuring that when the unexpected happens, new action can be executed quickly to adjust and ensure the team continues forward towards the objective. This is another characteristic of being Able. We looked at our new venture in the same manner, because every business operates within its own complex operating environment (the market). For those in the local public who have expressed how much they love the experience of our Tasting Room, we amended our liquor license to allow the serving of Pints. In doing so, we have achieved the local, communal atmosphere that “Live Free or Die” citizens crave. To maintain our promise to establishments putting Able Eb on tap that we would never allow growth to hinder their access to our products, we have begun a waitlist for new accounts. As tempting as it is to sign new business, the last thing we want to do is make the commitment and fail to deliver in the future due to over-extended inventory. These above adjustments are driven by one of our company principles: We’re in the business of building lasting relationships with our customers, be they individuals in our Tasting Room, or the owners/managers/staff of New Hampshire restaurants. It’s very easy to gain customers up front; it’s far more difficult to keep them for years to come. We prefer the latter; it’s just good business. Finally, we’ve begun interviewing fellow veterans in the local area who share our passion to bring onto our team. This is a major step for us, as creating a job (I like to think) is a dream every entrepreneur shares. We hope to create many more in the coming months. With that, we continue on with our production and delivery efforts within this complex operating environment; we will continue to adjust and drive on. I want to personally thank you all for granting us these challenges with your continued interest, patronage, and telling of the story. This past weekend, we hosted our Grand Opening at the Able Ebenezer Brewing Company. The response to our new venture was far beyond what we all could have imagined, as people by the hundreds came to Merrimack to celebrate with us and our beer. 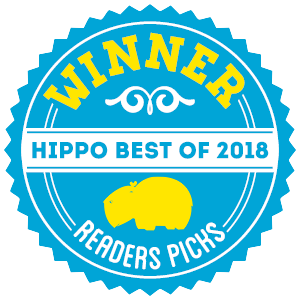 For that, we cannot thank everyone for their interest and support, and are elated to hear that although the wait time was upwards of 45-minutes to an hour, people stated it was more than worth it. I informed the crowd at 15-minutes in that I believed 27' of bar front would be more than enough, but I had obviously underestimated the Merrimack Valley's excitement for Able Eb. Governor Hassan helped us kick off the festivities. In her speech to the crowd, she referenced the story of Ebenezer Mudgett and his Pine Tree Riot, and stated that the story illustrates the New Hampshire principle of hard work, individualism and liberty. She emphasized the idea that when someone works to create something, it is no one's right (government or not) to strip them of the product of that labor. Value created by your work is yours to share with fellow citizens in the manner you see fit; not that of a King who has never lived your life, experienced your toil, nor even gazed upon the land he claimed to rule. Cheers to Ebenezer. We broke beer bottles together over the side of the facility to christen it as open, and Governor Hassan immediately proceeded to the bar, ordered a "Burn the Ships" and drank it to its completion. For her public words in support of individual liberty, and excellent taste in beer, I applaud the Governor. Overall, the day was a success that went far beyond our expectations. We began the day with 2 pallets full of 1-liter and 2-liter growlers; by the day's end we had sold the entirety of our 1-liter's and were left with 24 total 2-liter's in stock (so I apologize in advance to those of you coming in this week). In terms of volume, we poured the equivalent of over 1,300 beers during Saturday alone. Furthermore, we sold out of a number of t-shirts and other merchandise items. Of the two problems a new company could experience during a grand opening, we certainly got the better one. All of the numbers aside, none of this could be possible without you. Those of you who have followed us these past few months and granted us your time, interest and support; you continually reminded us that we weren't crazy and that this brewery was indeed possible. You went further and shared our story with those in your lives, and this past weekend introduced them to our company. You believed in us...and our work. Work is not a part of life we endure to pay bills and buy stuff. Work is the creation of value; effort put forth to deliver a product and/or service that did not exist before you chose to dedicate your mind and body to its execution. Most importantly, work makes a positive impact on the life of someone else; fulfilling a need or want that would go unsatisfied without your ability to think and do. Yes, this is a rather impassioned rant from someone who simply makes beer; typically words one would expect from a statesman or academic. However, this is the work we have chosen; we are proud of it, and believe in the value (however small in the grand scheme of the world) we are creating for those in Southern NH. No matter what your role in this life, you should be proud of your work too. This is what we mean by being Able. With that, we give you our thanks and are forever grateful. We look forward to seeing you again soon to share a good story and a fresh beer.